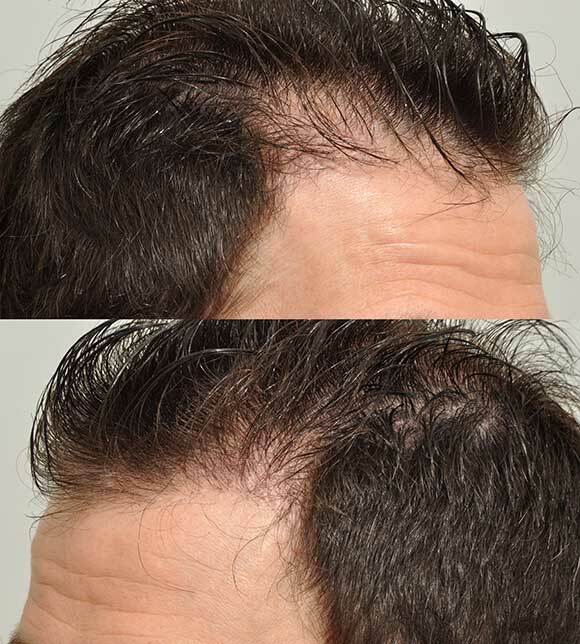 On 12-17-2014, our patient came to our office for more density to his frontal area and crown (FUE/CIT). He opted for our shaven procedure. 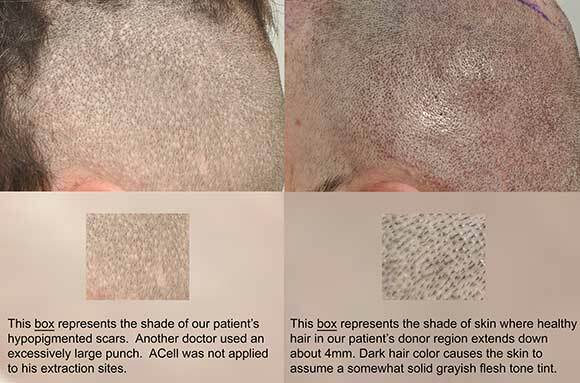 After his head was shaved down before surgery, we noticed some visible hypopigmented FUE donor scars from another doctor. His dark hair extends down into his scalp about 4mm giving his native, undisturbed areas of scalp a natural gray tinted appearance. The white dotting stands out in contrast to this natural grayish scalp color. Adding the correct skin tone back to the hypopigmented areas makes a world of difference, helping the scars blend with his virgin scalp.